As most of you have observed. I have sold all my German Stuff. And I'm sure you have all been wondering why. Well here it is. My life long dream. It's a ground up build all from original parts being bought one at a time from swap meets and other sources as I find them. So far I have an engine and transmission and brakes. It's going to take....well the rest of my life, but I'm hoping to have it done in the next 3 to 5 years so I can enjoy it the rest of my life. 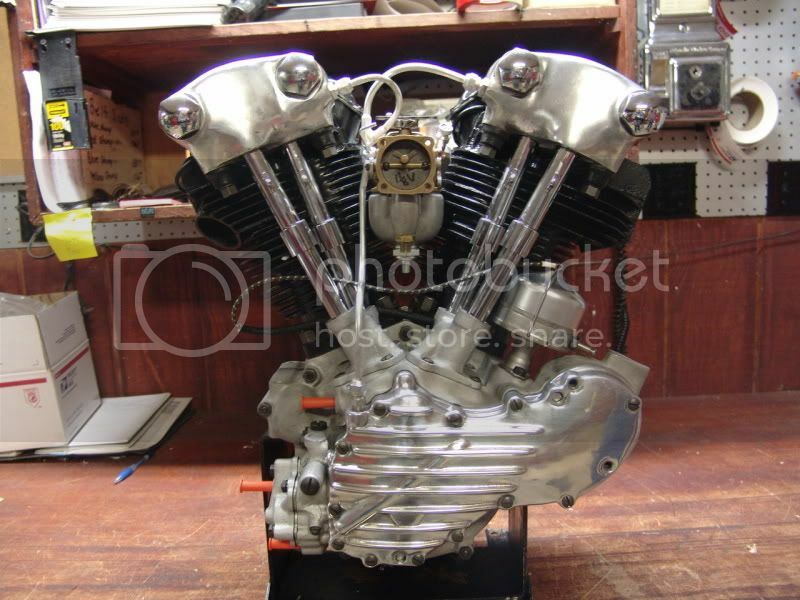 1947 Harley Davidson Knucklehead original engine. Engine looks good.......did you build her, or rebuilt at a local shop (?). 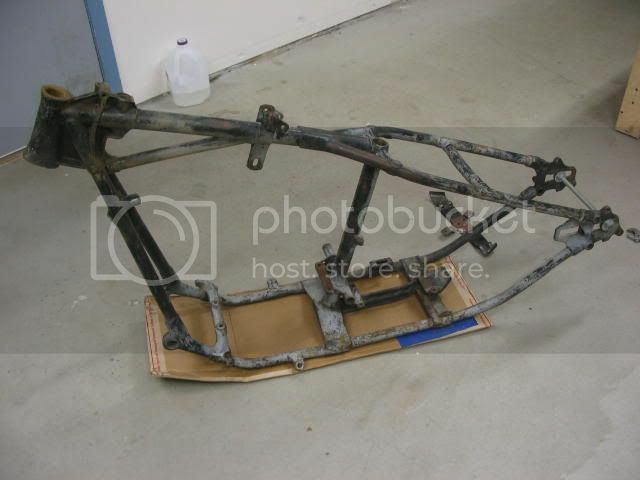 Although original frames are still out there that have not been modified or "tweeked", they are very few and far between........same as the springer-front-ends, tanks, sheetmetal, etc.. There is a company starting to manufacture early frames from newly-made castings. This is not "V-Twin" who's ridgid-frames started being made in USA and then switched to "overseas" manufacture (NOTE: A lot of talk about V-Twins frames not being withing "specs", etc.) ..........it is a company who bought the tooling and castings from a company down in Austrailia....and should be making them shortly with all of the raised "casting-numbers/letters". 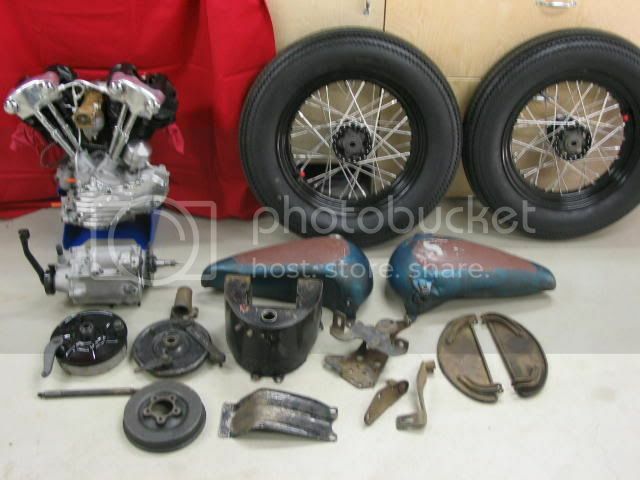 We could go on-and-on about older Harley projects as I have been riding since about 1966/67. 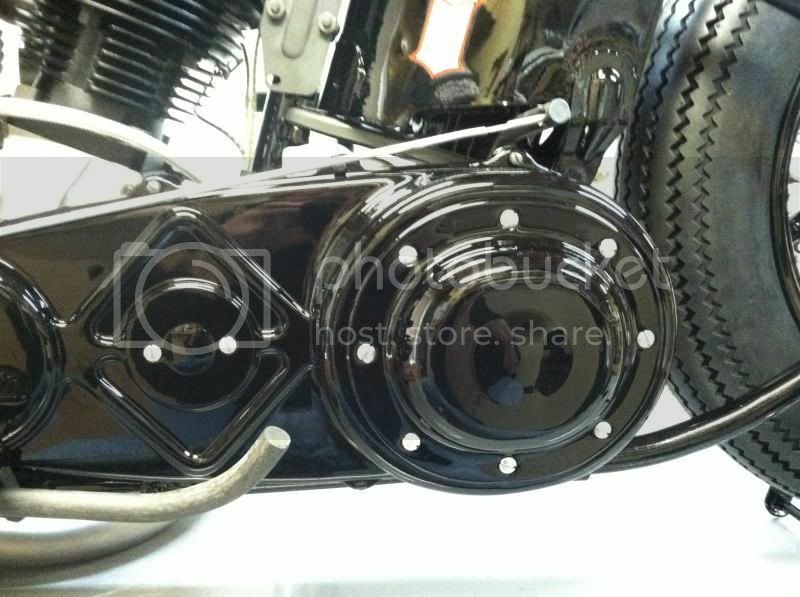 As a trained Harley-Davidson Mechanic........if you need some information/help, send me an e-mail. Good luck on your change in "hobbies". PS: Not knocking your choice of engines....if using this for normal highway speeds of 70-MPH and higher for longer periods of time/"cross-country"........I would have looked into a newly manufactured S&S 93" Knuckle-Head engine. 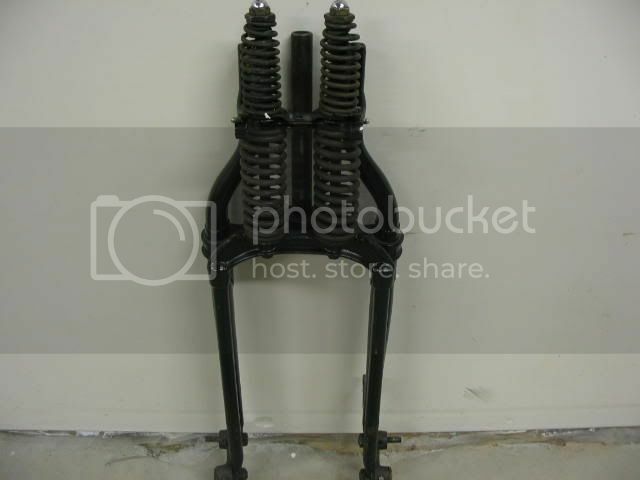 I need an offset front forks. I just spoke to Craig down in Tennessee Of Tennessee Frame Company . Too bad about Steve Little in Austrailia. I guess he has West Niles virus. Craig is waiting on a shipment of castings and wont be up an running for a few months. I should of bought a frame last year when the exchange rate was better. Anyways, their is a Father and Son outfit in South Dakota that runs the crap out of their 61" and 74 " Knuckles all over the country at highway speeds with no problems so I should be good. I found a nice set of original tanks in Germany of all places. I'm still waiting for them to enter the USA. 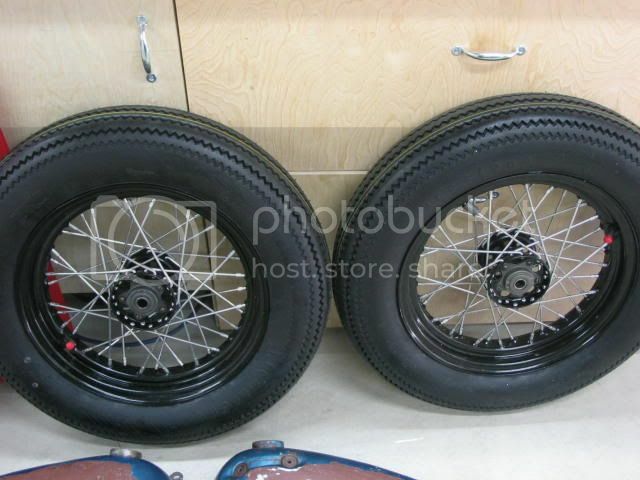 Did I mention that I need an offset front forks. I hadn't heard that Steve was ill......hope he makes a full recovery soon. I haven't gotten back with "Craig" after receiving his e-mail ........ just giving them a chance to get the welding-jigs in along with those first sets of frame-casting from "Steve". We both should have picked these up years ago before the exchange-rate went up......and I believe that this is one of the reasons for setting up a good frame-shop in the USA.......and the added advantage of better (read that as more detailed) frame-casting........"and" the ability for some custom-work. 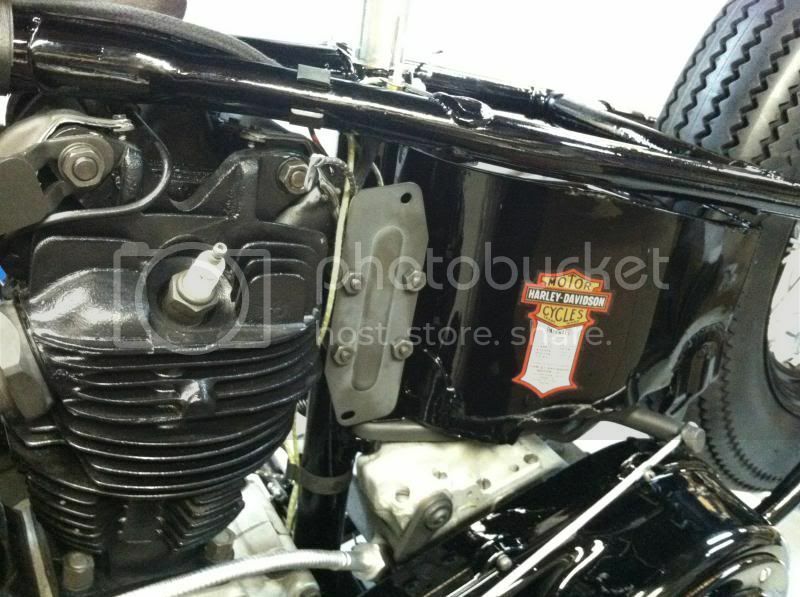 After owning/riding a '57 Pan all over the USA, and then all over the available areas in Europe (pre-wall take-down).....I would still be a little hesitant on the ability of the older parts in the Knuck's engine to take no-lead gas (as you said all original) in this day and age of no-lead and then alcohol added to fuel make slight-changes to even the present-day "TC" "maps" if moving to a different area to get best performance. Hopefully, you had the engine-builder incorporate most of the "up-date" into the engine as could be done........we use up-date a lot of earlier engines to "no-lead" valve-seats, valves/and guides w/seals as HD did with the last years of the Shovelheads......which made engines last much longer. On the "off-set" springer.......what year Knuck are you building (? 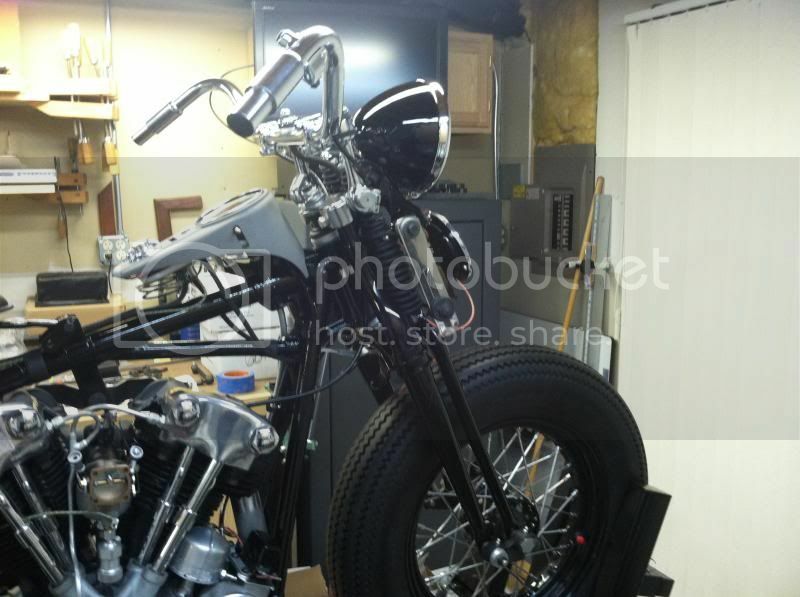 ).........my last complete off-set springer went to a club-brother a few years ago that was building a bike. Watch the parts coming out of Europe......there are a few people manufacturing early-parts......even to include early Indian frames, etc..
My best suggestion on locating an complete "off-set" spriner front-end would be the internet..........go from any of the MC Magazines ad-sections and then start e-mailing the shops ....... may come across one that way......and a WTB ad on some of the Forums may bring you one from someone parts-pile due to economy/"bills".........but again, just watch out for newly made springers (both painted and chromed) as they may be made overseas and were/are sold by "V-Twin". Keep the rubber-side down.....and maybe I'll see ya' out on the highway sometime. Keep Building TC!!!!! Looks great! 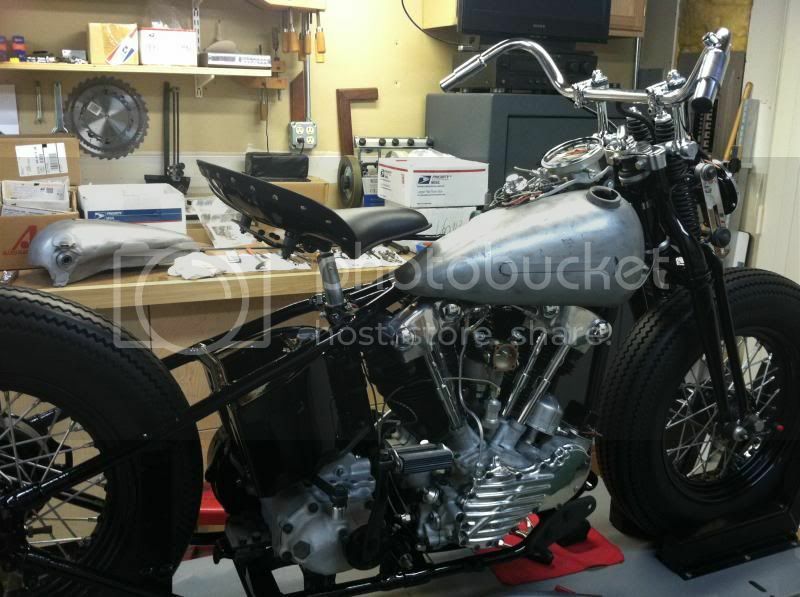 Well 3 years later and I'm this far on the knucklehead project. Yes I sold all my German stuff for this. Was it worth it.....hell yes!